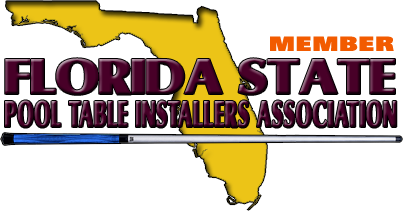 If you live in Lynne Florida or anywhere in Marion, Alachua, Citrus, Dixie, Gilchrist, Hernando, Levy, Putnam and Sumter Counties, and your Pool Table, Billiard Table or Snooker Table needs Moving, Assembly, Recover, Restoration, Re-cushion, Installation, Setup, Removal, Repair, Disassemble, Crated and Shipping or for Moving a pool table in the State of Florida or for Moving a pool table out of the State of Florida. Just fill out the form it’s easy and "Mike" will have an answer back to you very shortly or Just give Mike’s Billiard Supplies a call 1-352-666-7999 or 1-800-887-2630 and just ask for "Mike". MBS's pool table moving, re-felting and crating service area includes 55 of Florida's 67 Counties, except for the 12 panhandle counties of Florida. Please fill out the information form below! 04. What is the Size of your Pool Table? Example: 4 x 8 Proline. 05. Do you need your pool table setup? 06. Will your pool table need to be Re-felted? 08. Does your pool table need to be Re-cushioned? Example: The cushions on the rails are dead. 09. Will you need any Billiard Accessories. If so please list below? Example: Chalk, Cone Chalk, Table Cover, New Cues, New Balls. 10. What is your Home Address? 12. If your pool table needs to be moved, what is the move to address? 13. Are you moving out of the State of Florida? 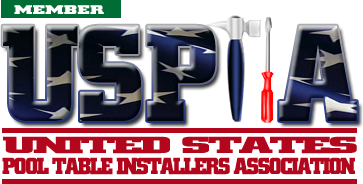 Do you need your pool table disassemble and the slates crated? 14. What day of the week and start time would you like these services provided? Example: Tuesday, 09 April 2019 at 08:00 in the morning.